The activist investor phenomenon is here to stay: Owen Walker pulls out three lessons for PR pros from the boardroom bust-ups and dumped CEOs profiled in his new book on activist investing. Starboard Value heavily criticized Olive Garden's unlimited breadstick policy, which still exists. Activist investors have sent shockwaves through America’s boardrooms over the past half-decade, bringing down CEOs and destabilizing a growing number of the world’s most powerful companies. But while a lot of this success can be put down to activists’ ability to attract investment and support from fellow shareholders, much also has to do with their effective communications campaigns. Where once these hedge fund managers were best known for the acerbic and highly personal letters they would send to hapless CEOs, they have now developed much more sophisticated communications strategies – from which corporate PRs can learn. Don’t forget your target audience. While this may seem like Public Relations 101, in the middle of a high-stakes proxy contest it is easy to get distracted and lose sight of the most important constituents. 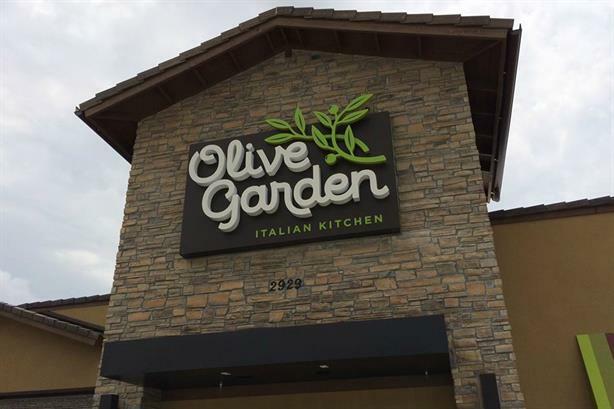 Hedge fund Starboard Value was lampooned on every late-night talk show in September 2014 over its 296-page detailed critique of the restaurant chain Olive Garden and its parent company, Darden. The following morning Starboard was inundated with emails and calls from angry diners who feared the hedge fund would end Olive Garden’s popular unlimited breadstick policy. Yet Jeff Smith, Starboard’s CEO, told me he never regretted going into such detail as he felt it was necessary to win over the highly influential proxy advisers in his campaign against Darden. The breadstick furore died down and Starboard eventually took over the whole Darden board, with Smith installed as chairman. Do promote your board’s willingness to listen. It is no longer acceptable for a target company to turn away activists without being seen to at least consider their proposals. Other investors see this as a tell-tale sign of an entrenched board that is closed to new ideas. Many former CEOs and directors have found this out the hard way. Activists also don’t want to come across as overly hostile. They are far more likely to promote their engagement credentials and ability to work with incumbent boards than against them. Indeed, last year an activist who was trying to show how long they had been attempting to persuade a company’s management team to change its course leaked a trove of emails to the press, revealing 18 months of private and constructive discussions. Its plan worked, and the activist ended up being offered two board seats. Don’t be afraid to smother with kindness. I recently heard an activist asked what he felt was the most effective form of defence from an activist approach. He replied that target companies should be prepared to "hug them to death." This tactic of disarming opponents with niceties is already being put to good use by a handful of activists. When hedge fund ValueAct recently disclosed a $1.1 billion stake in Morgan Stanley, rather than using the announcement to point out the bank’s flaws ValueAct CEO Jeff Ubben told the Financial Times: "We are completely supportive of [CEO James] Gorman and impressed by his leadership over the past six years." ValueAct has previously won board seats at the likes of Microsoft, Rolls-Royce and 21st Century Fox with such tactics. So while activists’ communications strategies may be much less aggressive, they are no less effective. Owen Walker’s book on activist investing, Barbarians in the Boardroom, is released by FT Publishing. How can I speak truth to power without getting fired?